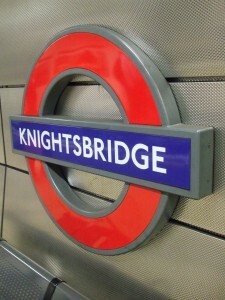 Knightsbridge is one of London’s finest shopping areas in all of this area and the world. It lies between Brompton Road, Sloane Street and Knightsbridge, where you will find the best and specialist stores and boutiques. Designers like Dior, Louis Vuitton, Dolce & Gabbana, Versace, Gucci, and others have amazing things for sale at all times, lovely little hot spots. The most famous store in Knightsbridge is Harrods. The store began in the middle of the nineteenth century when Henry Harrod started a grocery store on Brompton Street. Soon, the shop was very successful and began to expand into the surrounding area. Knightsbridge is also close to Hyde Park and has a fantastic, lovely appeal. This old meets new area has an amazing look and feel with trendy shops, restaurants and coffee bars. This makes Knightsbridge properties very attractive for people new to the city.